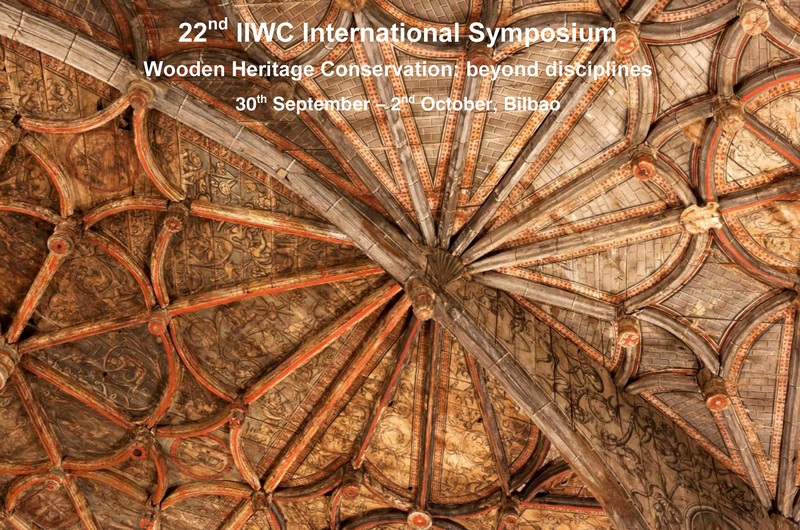 On behalf of the ICOMOS International Wood Committee (IIWC) and the Summer Courses of the Basque Country university we invite papers to be presented for the IIWC 22nd International Scientific Symposium: Wooden Heritage Conservation: beyond disciplines, Bilbao 2019. If you are an ICOMOS member, your ICOMOS membership number and National Committee. No more than one abstract will be considered per author (unless for the second abstract you are not the principal author). Final paper presentation time: No more than 20 minutes. The Selection Committee will review the abstracts. It will then select abstracts for papers to be presented at the symposium and for publication on the IIWC website (possibly for both). The selected speakers will be invited to submit fully referenced 2,500-word papers with illustrations after the Symposium for publication on the IIWC website. Guidelines for paper presentations will be emailed to the selected presenters. To facilitate broader discussion of the themes, a further number of abstracts will be selected (and notified) to present posters for display during the Symposium on stands or electronic screens. Poster Presenters may be invited to personally present if a Speaker Presenter drops out unexpectedly. Selection Committee: Doug Evans (ICOMOS UK), Andrew Fearon (ICOMOS USA), Toshikazu Tsuchimoto (ICOMOS Japan) and Mikel Landa (ICOMOS Spain). Symposium Organizing Committee: Mikel Landa (ICOMOS Spain), Agustin Azkarate (GPAC Basque University), Teresa Artola (ICOMOS Spain), Alazne Ochandiano (ICOMOS Spain), Josu Maroto (Gipuzkoa Regional Council. Heritage Conservation Department), Ainara Iroz (Gipuzkoa Regional Council. Heritage Conservation Department), María Peraita (GPAC-UPV/EHU), Tina Wik (IOCMOS Sweden), Tanya Park (ICOMOS Australia), María Guadalupe Zepeda Martínez (ICOMOS México).